It’s officially New Year’s Eve! In the spirit of tidying up loose ends, here are all the projects that I’ve finished in the last few weeks. 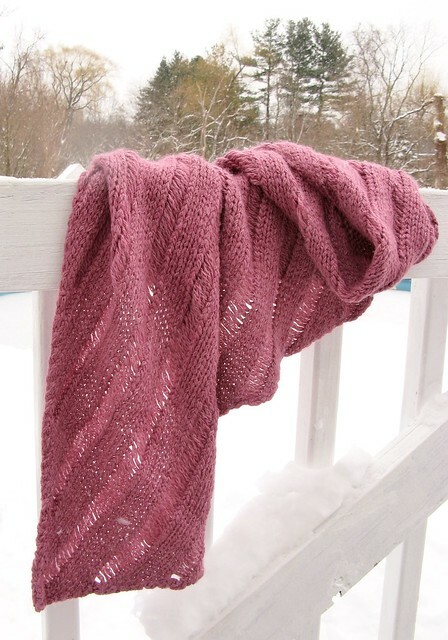 Because there are so many, I’ll keep my comments pithy — click through to Ravelry for pattern and yarn details. Great pattern! Had some trouble with the yarn hemorrhaging dye during the pre-block soak, but managed to control it with help from Kate. This M-KAL was great fun! 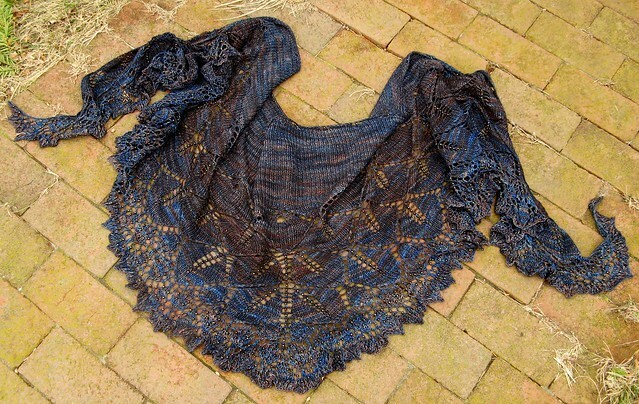 The finished shawl is HUGE and heavy from all the beads — totally fabulous. 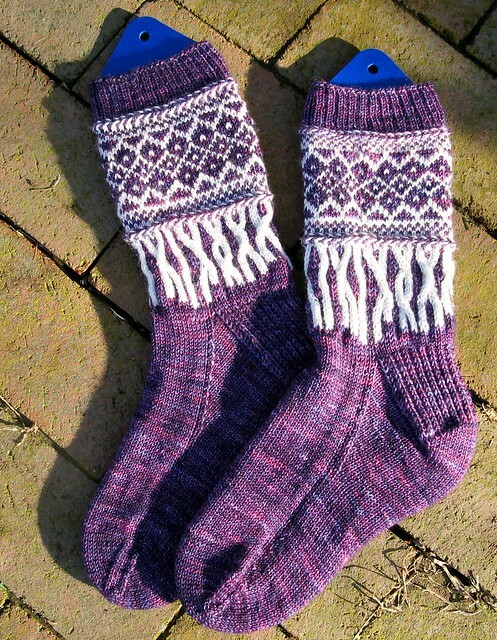 I’m sorry to say the purple yarn bled dye and now I have purple socks with PINK faux fringe. I’m glad I have one good picture beforehand! 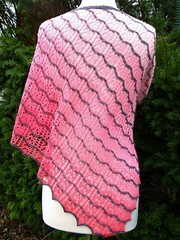 Note to self: take your own advice re: dye fast testing when combining saturated colors with white yarn. Sigh. I finished this Christmas gift in plenty of time. My MIL wrapped it around her neck immediately, and wore it home. 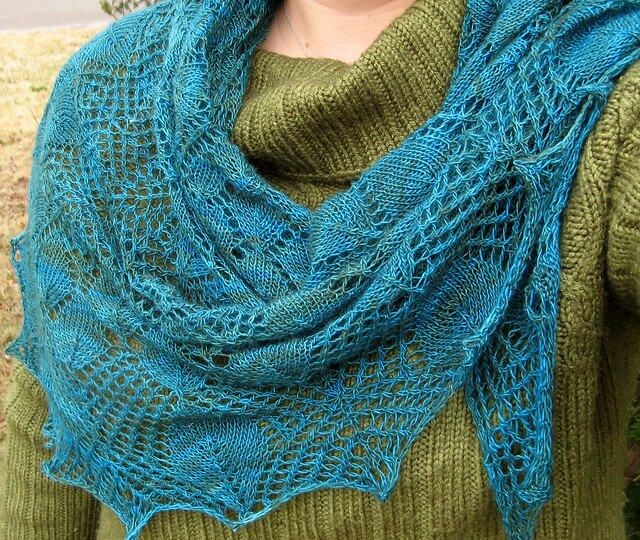 High-contrast yarn needs just the right pattern — I’m pleased with how this came out. 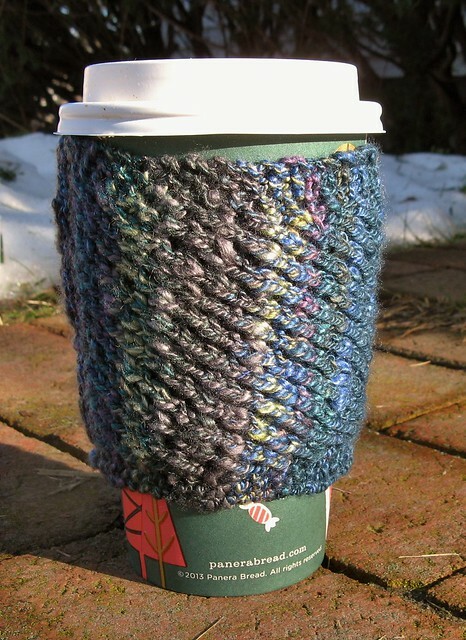 Finished this cup-cozy today! 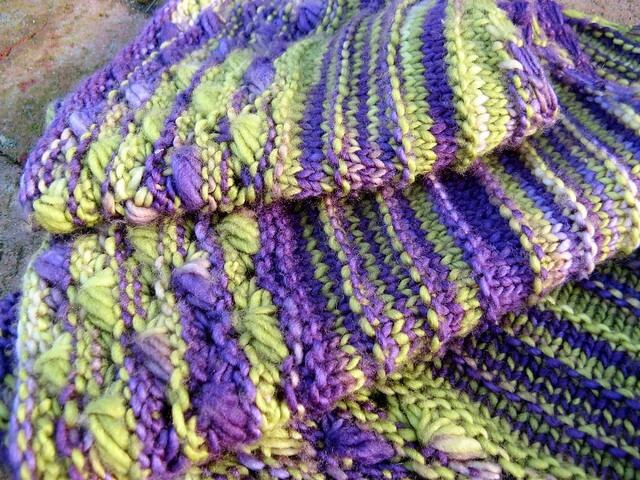 Love how the overall twisted-stitch pattern makes a plush fabric from my silky-merino handspun yarn. 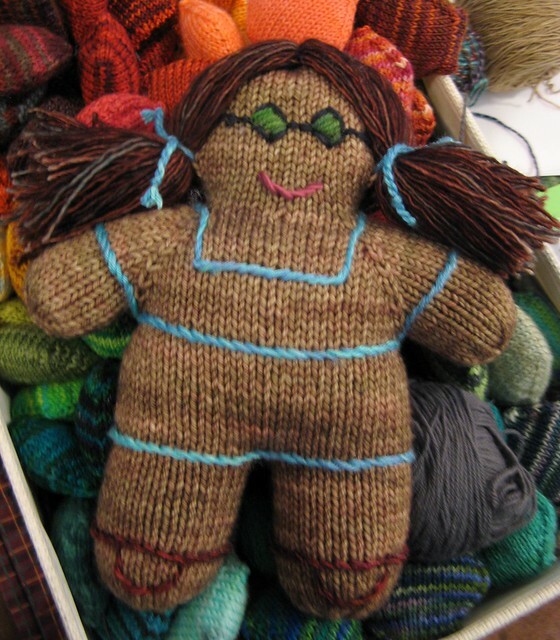 This was a toy M-KAL — the finishing left to the knitter’s imagination. I went for a “Dorothy from Oz” look, with some success. I couldn’t get the gingham to work, however, so I’m not 100% satisfied. I love those purple socks!